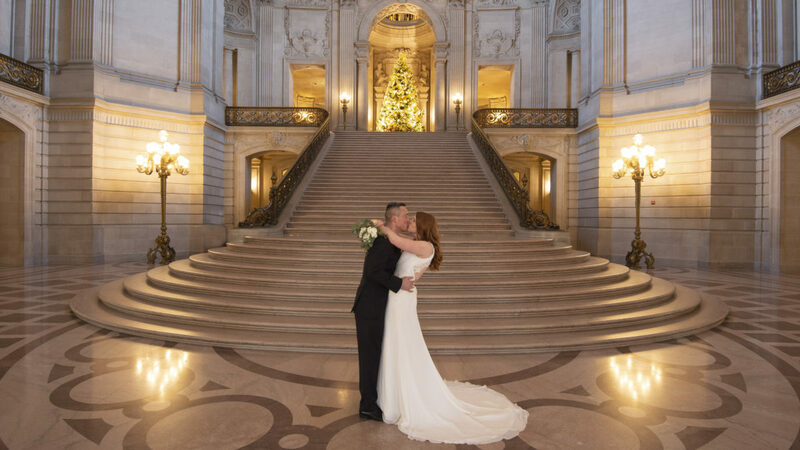 Georgie and Keron traveled clear across the world to get married at San Francisco City Hall. They have no friends or relatives in town, nor have they ever been here before. 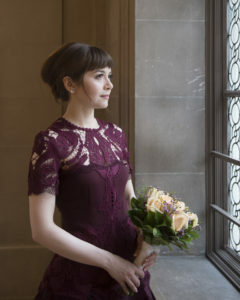 They just noticed online what a beautiful wedding venue city hall is and decided to elope. 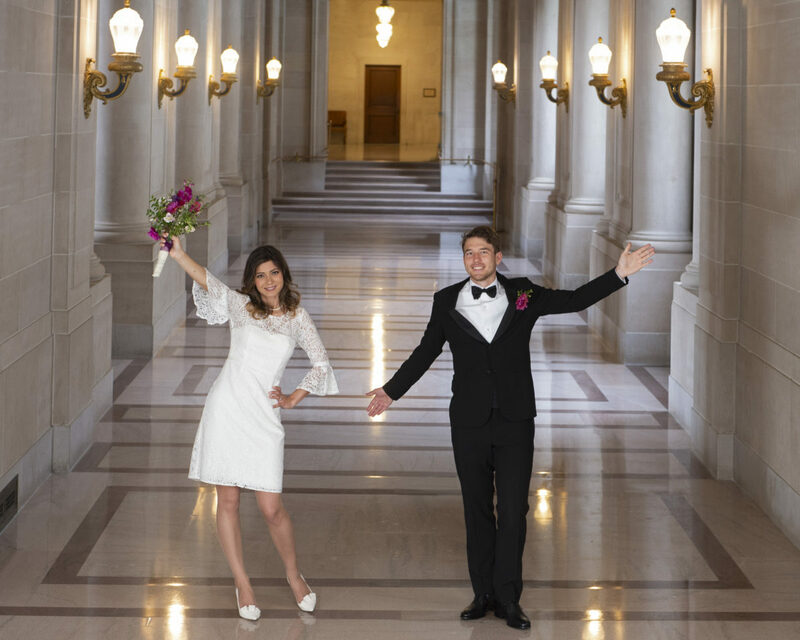 They rented out the entire Mayor’s Balcony so they would have privacy and not have to worry about tourists wandering through their ceremony. 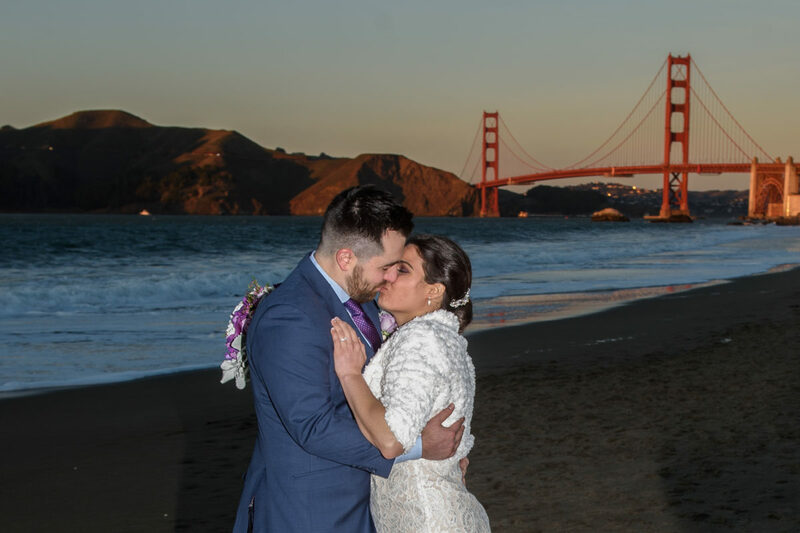 It is rare that couples do this, but we have seen it before and it can be a great idea. 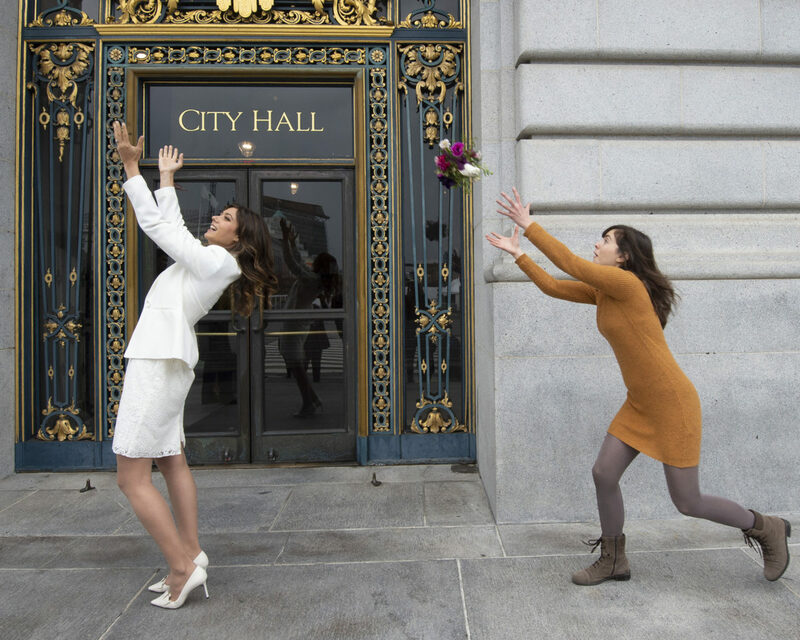 Even at $1,000 (the cost to reserve the Mayor’s Balcony for 1 hour) having your wedding at City Hall is a bargain! 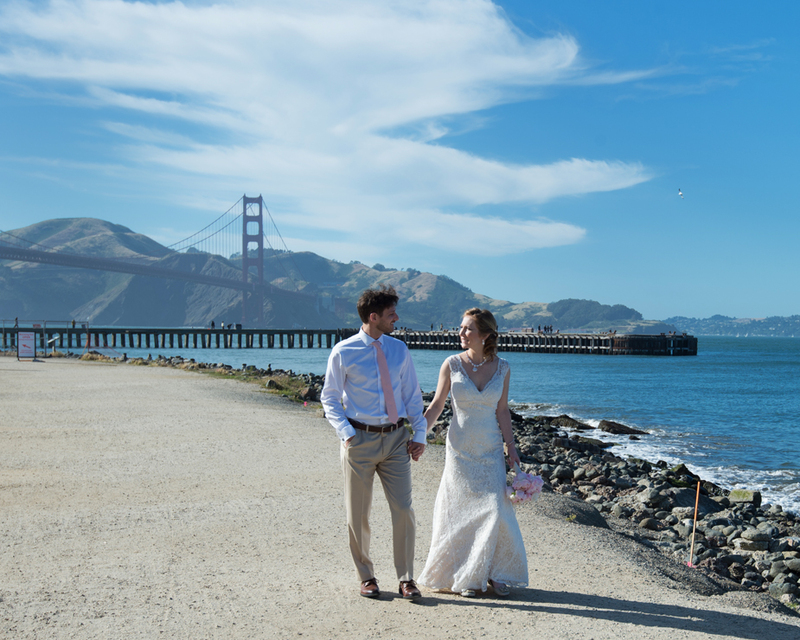 Where else can you have access to this beautiful old building; choose from some of the best wedding photographers in the San Francisco area; and also have your own intimate wedding ceremony? Pretty tough to find, especially in the Bay Area. 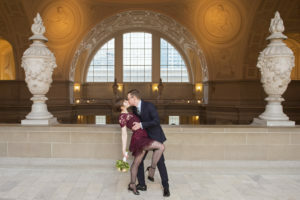 After the ceremony we took Georgie and Keron throughout the city hall building to make sure we made their trip from Australia a memorable one. 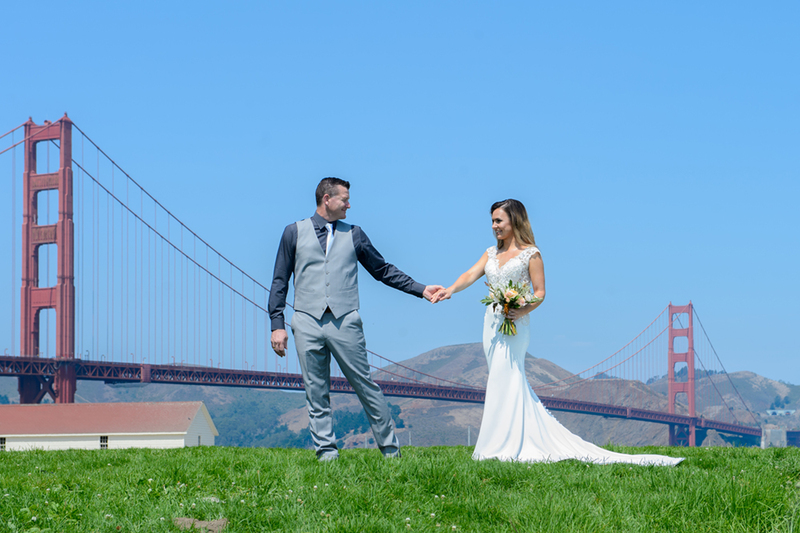 They booked our Golden Gate Package so we had plenty of time to tour around the building and take some great photos. One of our first stops was the 3rd floor on the north side of the building. The light there at mid day is amazing, it’s like having your own photo studio at city hall. Artists understand that northern light is preferable due to its softness and mild intensity. We took the photo below with minimal lighting, just mostly using window light.